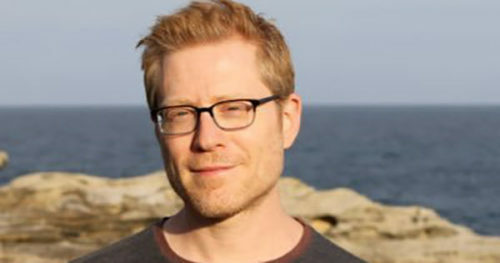 Anthony Rapp of Rent fame is beaming up to the new CBS All Access series, “Star Trek: Discovery,” as the first character in the legendary franchise to be conceived as gay from the very start. Bryan Fuller who is the series creator and was the showrunner until recently revealed over the summer that “Star Trek: Discovery” would have a main character who is gay. Fuller has been out since 2004. Although the writers, producers and director of the most recent movie, “Star Trek Beyond,” chose to reveal Lieutenant Sulu’s sexual orientation was not straight, but gay, Rapp’s character will be the first original leading man in the 50-year-old franchise to be shown as out, and to be played by an actor who is out. The man who originated the part of Sulu on television in 1966, George Takei, and Zachary Quinto, who plays Spock in the rebooted movie series, are also gay, but play straight characters. Actors Doug Jones and Michelle Yeoh were also announced Tuesday as members of the cast. Yeoh will be only the second woman in “Star Trek” to play a starship captain. Below, a preview of “Star Trek: Discovery,” which is set to premiere on CBS next May and thereafter appear on the network’s internet streaming service, CBS All Access.